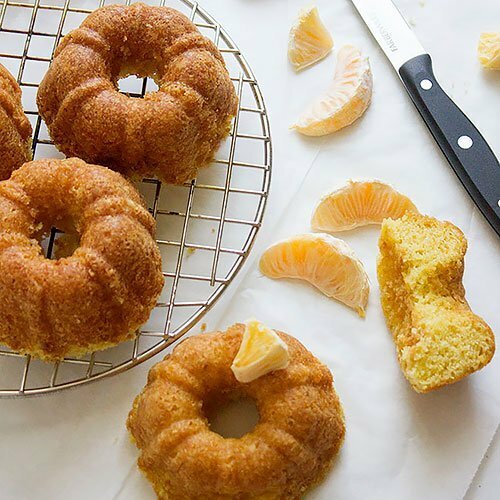 This Tangerine Cake recipe makes 6 mini bundt cakes that are so moist and delicate it will melt in your mouth. 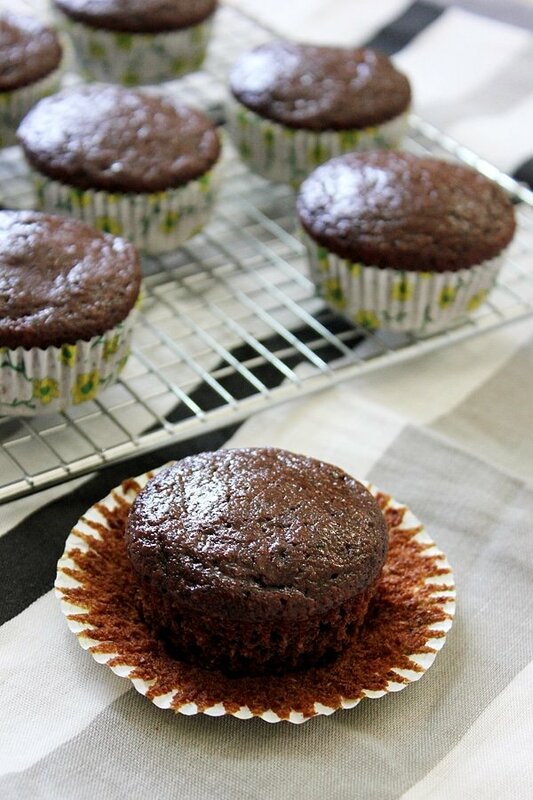 Just make sure to properly grease and flour your baking pan or mini bundt cake pans! When it comes to baking cake, you have to follow the recipe to the T, otherwise, you won’t enjoy the fruit of your labor. Therefore, there are few steps that you should follow to always have a great cake with amazing texture. Make sure that the ingredients are at room temperature. The ingredients will mix better. Preheat the oven before making the cake batter. Grease and flour the pan before making the batter. After adding the flour do not over beat the batter, usually mixing for 7 seconds is enough. Do not open the oven door unless 10 minutes have passed since you’ve placed the cake in the oven. The time given in recipes is an estimate, every body’s oven is different, always check the cake 5 minutes before the given time by inserting a skewer or a toothpick in the middle of the cake and if it comes out clean your cake is ready. Keep the cake in the pan for at least 7 minutes before flipping it on a cooling rack. 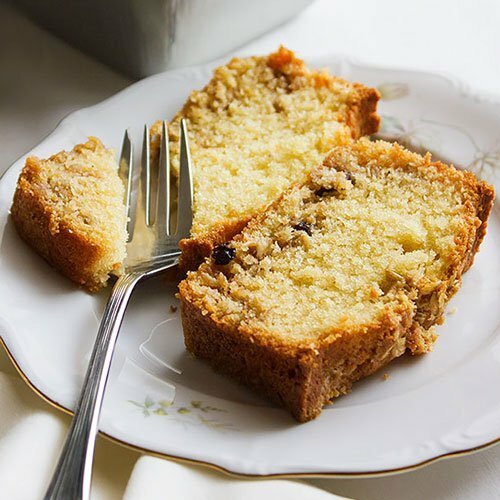 Most important part is when you are using fruit on a cake, make sure that the fruit used tastes good an is not spoiled or bitter. Baked goods taste much better the next day, so if you plan to have guests over, it is best to do your baking a day ahead. Cookies, cakes, and baked bread (not stove top bread) always tastes amazing the next day, and to maintain the flavor and texture make sure to store your tangerine cake in an airtight container or a Ziploc bag. You can use any baking pan to make this cake, just make sure that the batter doesn’t fill the pan to avoid overflowing. 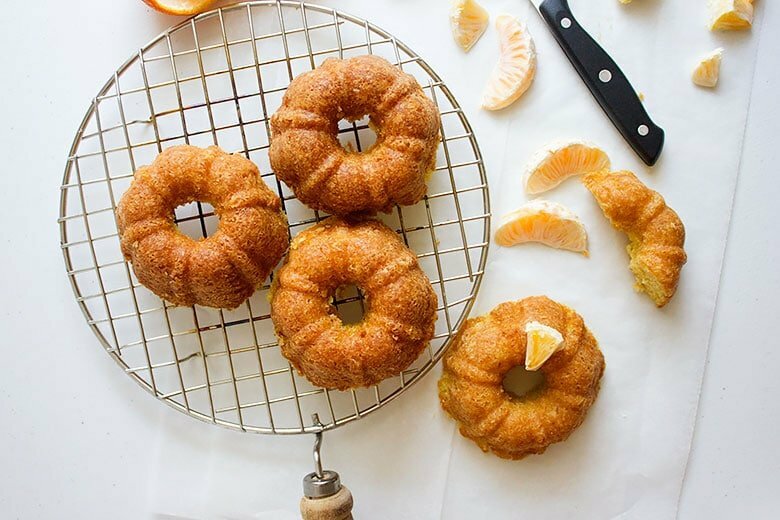 Let’s make some delicious melt in your mouth tangerine cake. 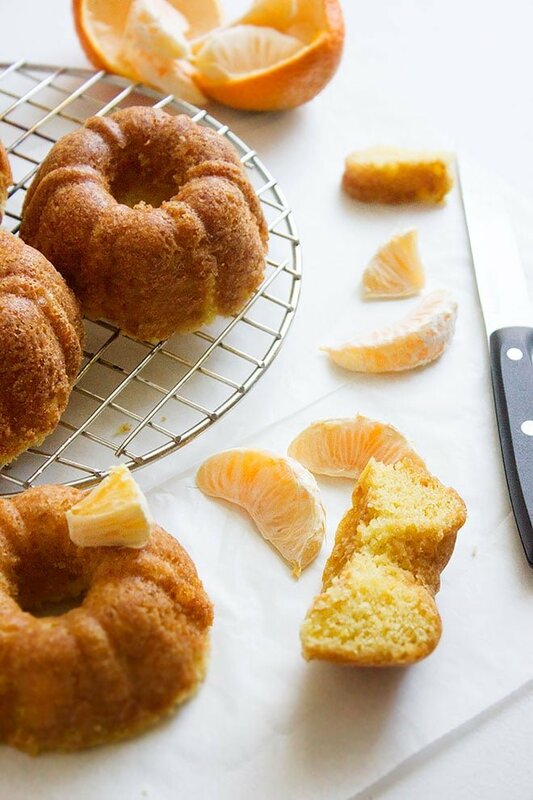 A recipe for a mist tangerine cake perfumed with tangerine zest and vanilla. 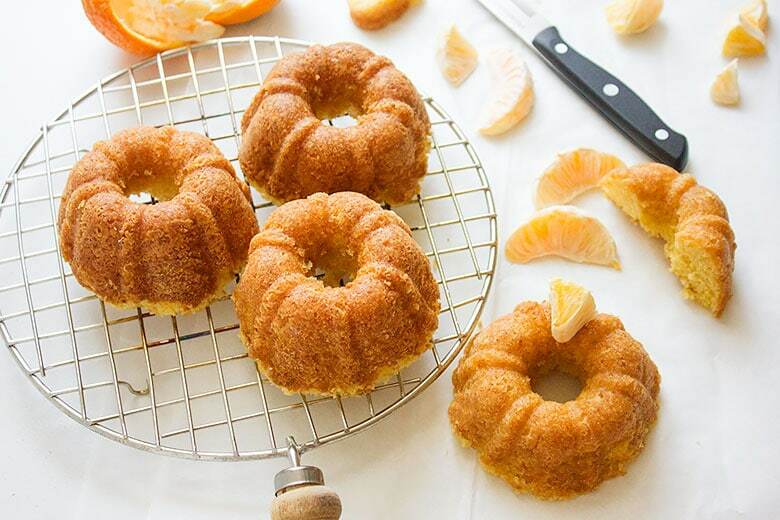 These mini bundt cakes can be served with cold milk or even coffee. Preheat the oven to 350F/180C. Grease and flour your bundt mini pans and keep aside. Sift the flour, salt, baking powder, and baking soda. Add the tangerine zest and rub between your hands or just whisk together with the flour mixture. Keep aside. In a mixing bowl, add the eggs and sugar, beat well until fluffy. Add the melted butter, sour cream, tangerine juice, vanilla, and beat until well combined. Pour the batter into the previously prepared bundt pans and bake for 25 minutes. O until golden in color and a toothpick inserted in the middle of the cake comes out clean. Keep the cake in the pan for 7 minutes and then flip on a cooling rack to completely cool. 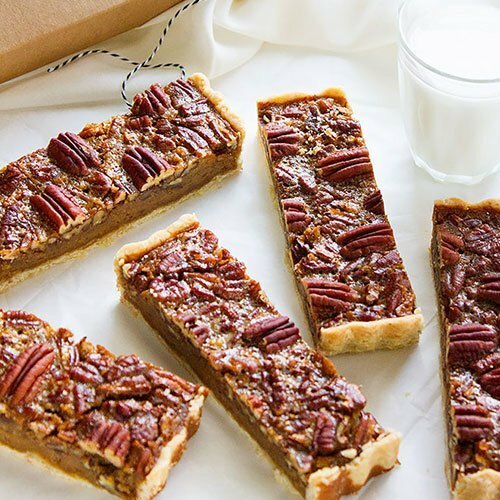 Serve with whipped cream or ice cream if you wish. For my referral at no extra cost to you. They look beautiful and wonderfully delicious, Muna. Delicious. Luv the pics u click. Would u be kind to put both measures, cups and grams, for all your recipes. Thanks for your kind words 🙂 … It is difficult for me to do so at the moment but maybe in the future I’ll have a plugin to do that! My gosh does this look good. I’ve never even heard of such a thing as a tangerine cake, even though I have seen (and made) orange cakes – but I love tangerine, so I’m so excited to see a cake recipe using them! They look so delicious! How would we make this cake without eggs? Can we substitute vinegar for eggs? Hi Meenu, I never made this cake without eggs, so I’m not sure if replacing egg with vinegar would work, sorry! 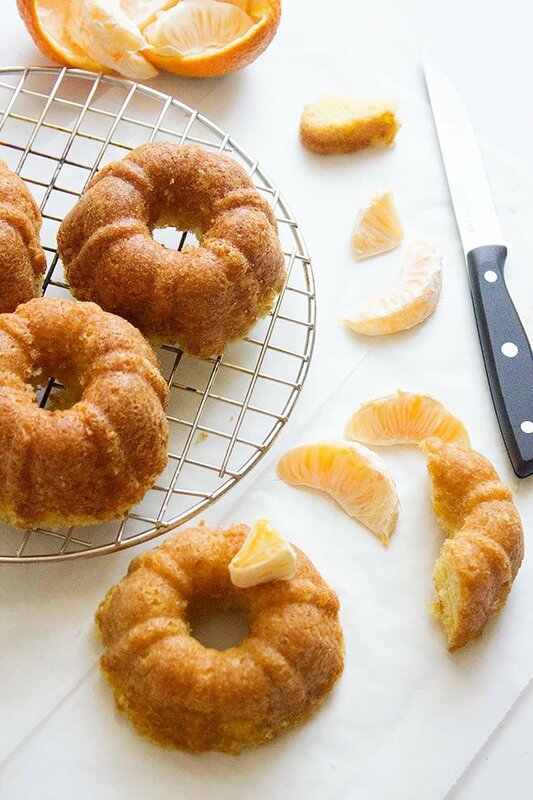 Do you have the amounts to make a full bundt cake instead of 6 individual ones? 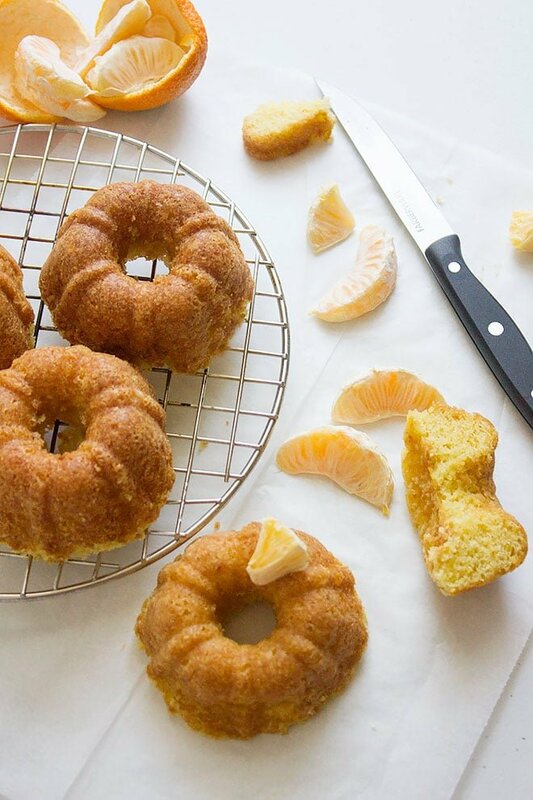 If you double the recipe you can make a full bundt cake.